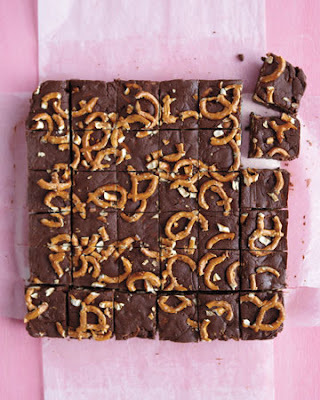 Silahkan klik tulisan atau gambar untuk lanjut membaca Easy Chocolate Fudge with Pretzels. Of all the sweet treats we enjoy during the holiday season, fudge is perhaps the most iconic. Soft, chocolaty, and oh-so-sweet, fudge can be made the old-fashioned way, with careful temperature monitoring and lots of beating by hand to achieve the perfect texture. Or, take advantage of our easy fudge recipes that rely on marshmallows to create smooth, foolproof results. Whichever recipe you choose, be sure to make enough for sharing!